Have You Done A Customer Journey Map For Your Startup Yet? If good customer experience is magic, a customer journey map is the spell book. In the startup world, we like to think of customer experience as this mystical, ineffable thing: a magical alchemy that happens at the intersection of our product and our audience. And the thing is – it is. When the right product finds the right audience with the right problem at the right time, the result really is magical. Some people will try to tell you can’t systematize magic. But those people have never been to Hogwarts. Or Startups.co. To quote the old business idiom, “People make processes. Processes make a business.” Putting a process around your customer journey doesn’t destroy the magic of customer experience – it makes it better. 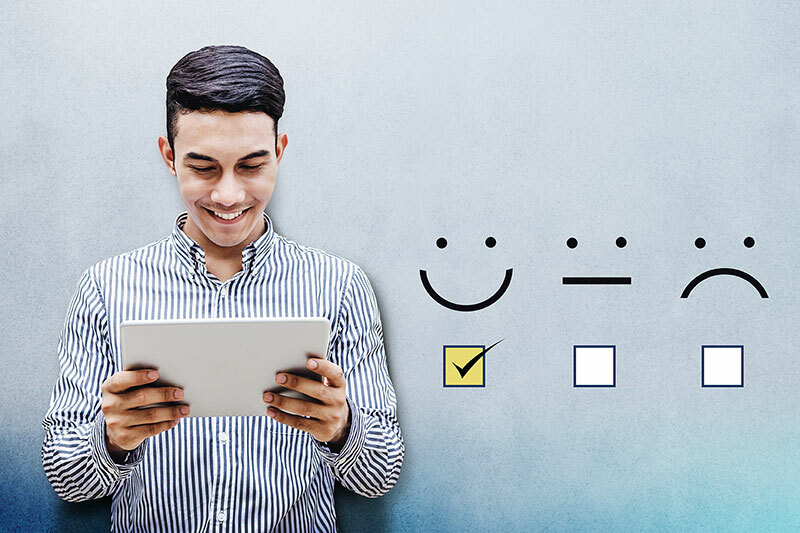 When you systematize your customer experience, you turn customer delight into a process you can repeat again and again. If good customer experience is magic, then a customer journey map is the spellbook – and Meredith Hutchinson Hartley, COO at Abish Media & HavenTree, is a wizard of the highest order. As a self-described “crisis-solving junkie,” she has helped dozens of businesses and nonprofits solve problems. And when the problem is customer experience, a customer journey map is always the first stop. Here, Meredith joins us to talk about customer journey maps – and why good customer experience begins, ends, and does everything in between with a radical focus on the customer. No, this isn’t a trick question. A customer journey map is exactly what it sounds like. It’s a map of how your customer interacts with your company, your marketing, and your product. Customer journey mapping doesn’t have to be a high-tech affair. It can be as simple as a series of post-it notes, or a flowchart drawn on a whiteboard. The important thing: getting the information out of your and your team’s heads and out in front of you. WHAT GOES ON A CUSTOMER JOURNEY MAP? Go through the process step by step: How does the customer hear about you? Then what? How do they find you? What do they do next? What do they do next? Then, once you get the basic structure of the journey down, “Go back over each step, and add more information,” Meredith advises. What technology are they interacting with? Who is their main point of contact? How are customers feeling at this point in their interaction with your product? What’s motivating them to take the next step? As you add details and layers to your map, what emerges is more than a schematic of your product. It’s a customer experience bible that can be used inform key decisions on product development, marketing, and everything in between. WHEN SHOULD YOU DO CUSTOMER JOURNEY MAPping? How soon should you do a customer journey map? The short answer: as soon as possible. “As soon as you know what your product is and who your customer may be,” says Meredith. Think about your first customer journey map as part of your idea validation process. It’s an opportunity to model how your idea will play out before you ever commit time and resources to building it. Which brings us to another benefit of early customer journey mapping: it paves the way for better, more efficient, more intentional product development. In our current startup environment, too often the impulse is to “build first, ask questions later.” But stopping to ask yourself the right questions early on can save you and your team a lot of grief. And a good customer journey map is a great tool to get you and your team asking the right questions. All this being said, don’t be surprised when your customer journey map looks very different at launch than it did when you first did it – and different again six months after that. HOW DO YOU START A CUSTOMER JOURNEY MAP? Not sure where to start with your customer journey map? How about with you and your team, in a room, with a whiteboard and a bunch of post-it notes. Can’t connect all the dots? Congratulations – you’ve just identified points of disconnect in your customer experience. Time to drill down on that aspect of your company and figure out what you need to do to make the process more intuitive. WHAT DOES CUSTOMER JOURNEY MAPping DO? “When I consult with clients who are struggling with customer experience, I always have everyone on the team draw me a customer journey map, and then we hang them up for everyone to see. And most of them are completely unrecognizable from each other,” says Meredith. Once you have a customer journey map, you’ll know you’re on the same page – because the page will be right in front of you. “You want everyone to understand the process and the purpose in the same way – and minimize misunderstandings,” says Meredith. A good customer journey map helps you do exactly that. It’s easy to tell something at your company isn’t working right. Your team is stressed, or your customer support line is blowing up, or revenue has flatlined. What’s less easy is spotting the cause of all the ruckus. A company is a complex organism, a lot like the human body. And, like with the body, sometimes an ache you feel in one place is caused by something that’s broken somewhere completely different. A customer journey map is like an MRI of your company. It helps you look beyond the symptoms and get to the root of what’s actually broken. Is your sign-up page missing a clear CTA? Are customers having a hard time figuring out how to upgrade their account? Are they bailing once there’s nowhere left for them to go? A good customer journey map can help you spot these kinds of problems and more. One of the most valuable things that a customer journey map does is help you see past everything you think you know about your product and your customers. By definition, a customer journey map is an antidote to this myopic approach to data, because it sets everything in the context that matters most. Far and away the most important thing that a customer journey map does: keep your focus radically, fanatically, unapologetically on the customer. It’s not about what your dev team wants or your marketing team wants – it’s about what your customer wants and needs from your product. Simply by putting a customer journey map on paper (or screen) you are taking on this Voice of the Customer role. You are committing to seeing your product through your customer’s eyes. And when you can do that – see your product as your customer sees it, experience your company the way your customer experiences it – now, that’s the real magic. Want to learn more about building customers into your validation process? Let Steve Blank take you through the basics of Customer Development. Got customers and interested in learning more about how to keep them? Check out Nir Eyal’s series on getting your customers Hooked.